The Style Confidence quiz is designed for your eyes only! Style isn't just about appearance but being confident in yourself as a woman - valuing and appreciating who you are. Positive self esteem makes you feel healthier and look more attractive. Low self esteem pulls you down both mentally and physically. Just how much do you really know about yourself? The more you know the more confident you'll feel. And Style is Confidence! The two work hand in hand! 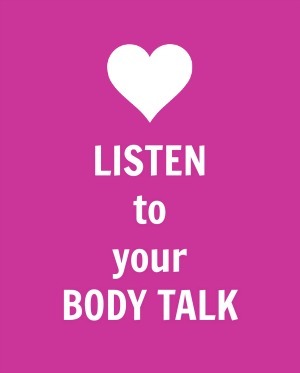 The Color and Style sections of this website will show you how to listen to and read what your own BODY TALK is telling you! Your coloring, your shape, your personality all emanate from inside you and reveal the 'REAL YOU'. All this information works together to show you how to make the most and the best of yourself. More especially once you appreciate the positive things you have going for you you will value yourself more. Where do you need a boost? Where would you like an extra bit of confidence - no-one else knows where you need a boost - only YOU! So take the Style Confidence quiz and find out just how much you actually know about yourself and where you need a few more answers. What you know and what you’d like to know about yourself! 1 ANSWER QUICKLY and INSTINCTIVELY! How confident do you feel in general on a scale of 1 to 10? Were those words positive? If not, how would you like to describe yourself? If you could change 3 things about yourself, what would they be? Do you feel that you face day-to-day life with confidence? Do you enjoy and welcome the opportunity to meet new people? Are you satisfied with your general personal presentation? Do you feel reasonably well groomed or feel that you let yourself down at times? Do you know the colors that work for you and those that don’t? If you don't, you can find your own fabulous color palette with the fabulous Free Color Analysis Quiz. Have you understood the information in this section? Is your natural coloring easy to identify? If not, you might like some help - find all the Color and Image Online Services. If not, is there a reason? Perhaps you could try again or ask a friend for help or look at my makeup tutorial? If you know your best Colors, do you understood how color translates into Warm skin or Cool skin for hair and makeup shades? 6 FIND YOUR BODY TYPE – it's merely your bone structure nothing to do with weight. Do you understand how to fit your Body Type? We all have figure variations, have you found the answer to solve your problem spot? Having a problem? Contact Me and I'll try to help. Ready to pull it altogether? Does your wardrobe work for your lifestyle and are you happy with your look! This is where you bring together all the information you've discovered about yourself and what your body is telling you. Can you answer all these questions? Do you have an idea of the way you’d like to look! You know so much more about yourself – so how’s your confidence NOW? I hope you’ve found this fun and informative. My website is still growing and, undoubtedly, there will be gaps in the information you’re looking for. Feel free to use the Contact Me form at any time and I’ll try my best to answer you. Use these questions for inspiration only - make it work for YOU!